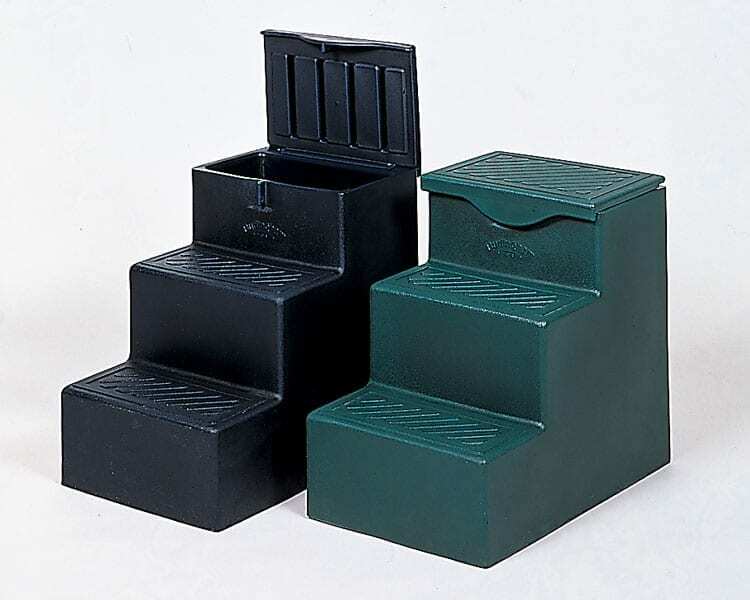 This Storage Bin is the ideal tool to organize and clean up any farm or stable. Storage for horse blankets is one of the popular uses. When used as a feed bin it can hold over 200 lbs of feed. Mad of heavy duty polyethylene, this bin won’t rust or rot. Perfect for indoor or outdoor storage. Lockable, rodent resistant, and water resistant. 23″ x 23″ x 29 1/2″ H, 27 lbs.